There's Old Navy Coupon Codes 30% off your purchase. Use Coupon Code THANKS at checkout. You can also get 40% off your purchase at Gap with the same Coupon Code. Some exclusions apply. Shipping is Free on orders over $50. This online offer ends 6/17. 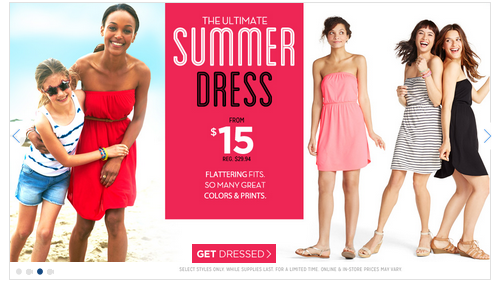 Go here to find the latest Old Navy Sales, Coupons and Deals.